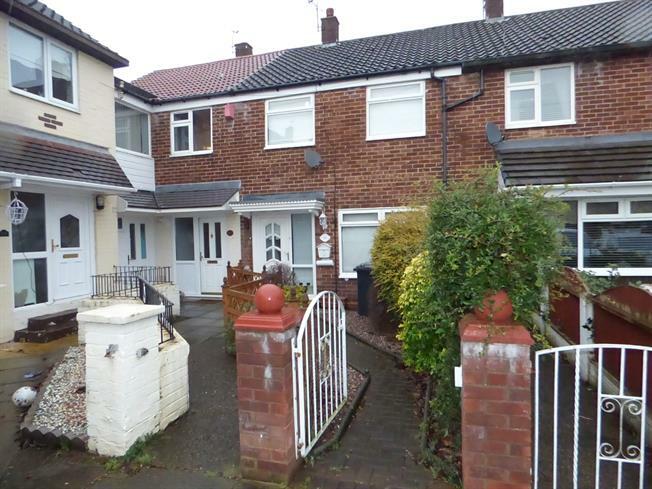 2 Bedroom Terraced House For Sale in Liverpool for Asking Price £95,000. Entwistle Green are delighted to introduce for sale this attractive two bedroom mid terrace property in Litherland. The property briefly comprises of entrance hall, reception room and kitchen diner. To the first floor there are two bedrooms and a bathroom. The property benefits from double glazing and gardens to the front and rear, with access to a decking area by the canal. Viewing is highly recommended. Upvc double glazed window and door, stairs to the first floor. Laminate floor, upvc double glazed window, gas fire. Range of base, wall and drawer units, laminate work surfaces, part tiled walls, sink and drainer, plumbed for washing machine, integrated fridge/ freezer, oven, hob and hood, tiled floor, upvc double glazed window, open plan to the dining area with double upvc double glazed doors to the garden. Two upvc double glazed window, fitted wardrobes, cupboards, laminate floor. Laminate floor, upvc double glazed window. Three piece suite bath, wc and basin, tiled walls and floor, upvc double frosted window. To the front there is a front garden. To the rear there is a flagged garden with borders of shrubs, plants and trees with gated rear access leading to decked area overlooking the canal.